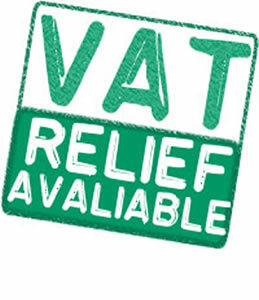 Eligibility Declaration We sell a number of products available for VAT relief, including electrically adjustable beds and riser recliners and everyday mobility products. If you are eligible to receive goods and services zero-rated for VAT you should fill out the form at the checkout. Once you fill out the form it is automatically sent to us and you are then free to make your VAT exempt purchase. Please note that there are penalties for making false declarations. If you are in any doubt as to whether you are eligible to receive goods or services zero-rated for VAT, you should consult Notice 701/7 VAT reliefs for disabled people or contact National Advice Service on 0845 010 9000 before signing the declaration.